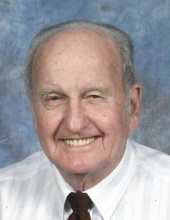 Harold Elmer Shelton, 91, of Collinsville, VA passed away Tuesday, January 29, 2019 at his home. He was born April 18, 1927 in Franklin County, VA to the late Daniel Thomas Shelton and Virginia Helms Shelton. In addition to his parents, he was preceded in death by his wife, Peggy Ann Greer Shelton; sisters, Ruth Newman and Nanny Hollandsworth; and brother, Chester Shelton. Mr. Shelton was of the Baptist faith and served in the United States Army at the end of WWII, where he spent 11 months in Germany. He was a Private First Class 18th Infantry Regiment First Division. He is survived by his daughters, Susan Yvonne Shelton of Martinsville, VA and Donna Whitener and husband Ed of Collinsville, VA; son, Timothy Shelton of Martinsville, VA; grandchildren, Jason Elgin, Melissa Elgin, Dustin Elgin, Daniel Whitener, and Ginny Whitener; and great-grandchildren, Nicholas Fisher and Olivia Fisher. A funeral service will be held at 2 p.m. Saturday, February 2, 2019 at Norris Funeral Services, Martinsville Chapel with Pastor Bobby Rakes officiating. Visitation will be one hour prior to the service from 1 p.m. to 2 p.m. Burial will follow at Roselawn Burial Park. Memorial donations may be made to Edwards Adult Day Center, 431 E. Commonwealth Blvd., Martinsville, VA 24112. Norris Funeral Services, Inc. and Crematory, Martinsville, VA is serving the Shelton family. Online condolences may be made at www.norrisfuneral.com. To send flowers or a remembrance gift to the family of Harold Elmer Shelton, please visit our Tribute Store. "Email Address" would like to share the life celebration of Harold Elmer Shelton. Click on the "link" to go to share a favorite memory or leave a condolence message for the family.